ever let it be said that software publishers ignore the demands of their users, at least in the case of BitTorrent client Vuze. Back in June, the popular BitTorrent client Azureus underwent some serious reconstructive surgery. The familiar layout of top buttons and a spreadsheet interface was wrapped up in a Web 2.0 package, tied off with a bow of peer ratings and reviews and an emphasis on video content. The old UI was kept but de-emphasized, and the application was renamed Vuze 3.1. Vuze 4.0 has been redesigned in response to user complaints. Although it kept Azureus' blue frog logo, fans were not amused. Vuze 4.0 is a direct attempt to incorporate user concerns and still try to push the app forward, although in a blog post today, Chris on the Vuze blog confirmed that the new silhouetted look of the frog is not going anywhere. On to the important stuff. The new Vuze follows in the footsteps of iTunes, so if you're new to torrents the learning curve will be less steep than it was in Vuze 3.1. There's a menubar on the top, with a sidebar on the left for managing torrents and videos. Where you might expect album art in the old iTunes 6 layout, you've got a Friends panel for adding people to share your torrents with. The search bar at the top of the central pane leads the eye directly to the rolled-in playback controls, and feels modern and slick. ShareThis has been built-in, and the former Advanced tab has been renamed My Library. Newbies will appreciate the three-step tabbed tutorial that launches in the main pane, and even experienced torrenters should find it helpful for getting their bearings in an entirely new layout. There are some other slick touches to the client interface. F7 toggles the sidebar, a useful arrow makes it easy to hide the Friend pane, and using the hotkey combo CTRL+ 2, 3, 4, or 5 reveals a series of otherwise hidden panes. My Tracker, My Classic-Shares, Console, and Statistics are also available under Tools on the menubar. These panes open organically in the main program window or on the sidebar, and have been baked in well. They don't look like afterthoughts or what-the-hecks. There are several useful new features. First off, Vuze users can now search a multitude of torrent trackers from within the Vuze interface. In addition to the Vuze tracker, users will see results from MiniNova and other independent trackers. Customizable search templates are not available, but you can now set up a private tracker that supports usernames and passwords. Subscriptions have also been revamped, with the ability to share anonymously and the ability to find a file that's part of somebody's torrent, and subscribe to just that file in that torrent. Memory usage has always been an issue with Vuze and Azureus. The old Azureus clocked in at around 50MB when going full bore, and the new Vuze is around double that. It's still not as slim as some of the other torrent clients out there, but very few offer similar features. If anything, the new Vuze is most similar to open-source Miro, which is more of a multimedia player with torrenting support features. If you're not into toolbars, watch out during the installation process for the Vuze toolbar and the Ask.com toolbar--both are opt-out. Even with those hang-ups, the new Vuze works well, has a slick design, and should appeal to torrenters who are looking for a bit more panache in their BitTorrent client. 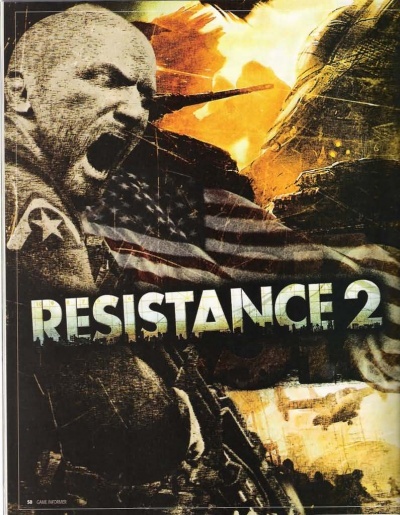 Resistance 2 is the sequel to the critically acclaimed PlayStation 3 exclusive shooter Resistance: Fall of Man. This game takes the hero of the first title, Nathan Hale, and sets him against the evil Chimera forces across the United States territory. The Chimera virus takes over humans and transforms them into terrible creatures that can be defeated only by soldiers immune to the virus, like Nathan Hale. Recently, Greg Phillips, producer at Sony Computer Entertainment, the publisher of the game, has announced that its online beta stage will launch on October 16 in North America. He now returns on the PlayStation Blog to reveal other ways to join the beta, besides pre-ordering the game, subscribing to Qore or joining a contest from GamePro. This other way involves registering at the MyResistance website, which will go live soon, and Sony will pick from the contestants the ones who will join the beta stage starting next week. For Europeans, the beta is scheduled for the same launch date, and those who want to test the game before the official release on November 4, will also have to register on the Resistance website. Here's what the beta stage will consist of as reported on the PlayStation Blog: "The Beta will include competitive maps from three locations in the game. These maps include 60-, 40-, and 20-player maps from Orick, 40- and 20-player maps from Chicago, and the 10-Player map Sub Docks (Bay Area). New modes Skirmish and Core control will be supported, along with Deathmatch and Team Deathmatch. The co-op portion of the beta will focused [sic] on Orick, and will support randomization of your play-path. Both co-op and competitive will support matchmaking and class/character progression up to level 10. This will allow unlocking of new equipment, upgrades and berserks for character customization." In addition, the Resistance website will also be updated and ready to host the competitions and ladder tournaments for the upcoming game. And speaking of the future title, Sony has also announced that the game has gone gold, which means that it's now up to the manufacturing plants to produce the retail copies of the game. Until then, all that's left is to refresh the Resistance website page. Microsoft Technical Fellow Mark Russinovich and Bryce Cogswell, software architects in the Core Operating Systems Division, introduced the 2.0 major update to Process Monitor at the end of September 2008. Now, the tool has been taken one step further to version 2.01, this time just a minor refresh designed mainly to deal with a few issues associated with v2.0. 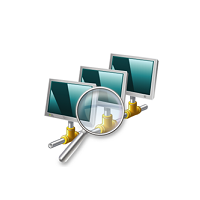 The Process Monitor 2.01 release is an integral part of a larger update of the Sysinternals suite involving other three applications: Autoruns 9.35, DebugView 4.76, and AccessChk 4.21. “Process Monitor v2.01 - this release fixes several bugs, including compatibility with Windows 2000, excessive exit delays, and adds the new networking events to the filter dialog's operations list,” explained Curtis Metz, Program Manager, Microsoft Sysinternals. Back in September, version 2.0 of Process Monitor brought real-time TCP and UDP monitoring. Delivering network tracing capabilities to Process Monitor was Russinovich's next step in the evolution of the utility. Taking Process Monitor from version 1.0 to 2.0 involved adding new low-level capabilities, such as a stronger focus on system memory usage in addition to network tracing. The new versions of the four updated utilities have also caused the entire Sysinternals Suite to be refreshed. 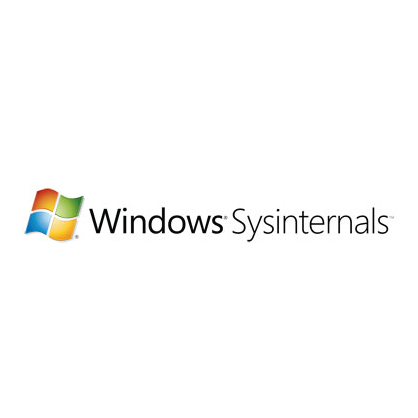 As of October 16, Microsoft is serving a new release of the Sysinternals Suite now complete with all the touched-up utilities: Process Monitor 2.01, DebugView 4.76, AccessChk 4.21, Autoruns 9.35. Process Monitor 2.01 is available for download here. The Sysinternals Suite is available for download here. indicated that the acquisition of Yahoo “would make sense economically,” pointing out that not only the Redmond company's shareholders, but also those of the Cupertino-based Internet giant would benefit from such a move. However, in an official statement later yesterday, Microsoft denied that the Yahoo deal is rematerializing. “Our position hasn’t changed. Microsoft has no interest in acquiring Yahoo! ; there are no discussions between the companies,” the software giant stated. 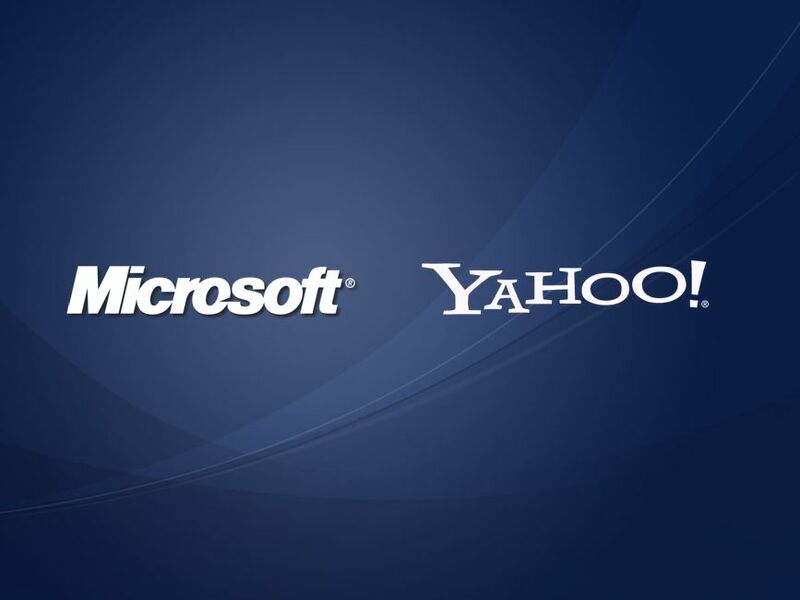 While Ballmer's comments were interpreted as a sign that Microsoft was yet again looking to Yahoo as a fast solution to close a portion of the gap that separates the Redmond giant from Google on the search engine market. Yahoo shares, which were trading at under $11, jumped approximately 10% to $12.9 just because of Ballmer's remarks. Still, with Microsoft saying a firm “no” to a potential marriage with Yahoo, the stock of the Cupertino Internet company is bound to continue its descendant trend. At the start of February 2008, Microsoft made an unsolicited acquisition bid for Yahoo offering $31 per share, for a transaction totaling $44.6 billion. hese days there aren’t enough ways to protect your privacy on the Internet. You can choose from a great deal of software solutions to do this but, as always, the free ones might prove to be the best. So, let’s see what you can do to be as stealth as possible during the hours (days?) of staying online. The first thing you might think of is a proxy. Yes, this might be a pretty good solution if it is an anonymous proxy that you can rely on but, in the long run, and if you have enough experience on the web, you will understand that you can be easily traced because of the direct connection that you will have with the proxy. In case you didn’t already know, most of these proxies, although being out there for public use, do make logs of all connections, and this is bad news for anonymity. Also, hackers can have their own public proxies that will allow them to log everything you do online and easily steal even the most sensitive information from you without you even knowing it. How? Simply by going through the logs of unencrypted data you have sent to the web through the proxy server using a direct connection. 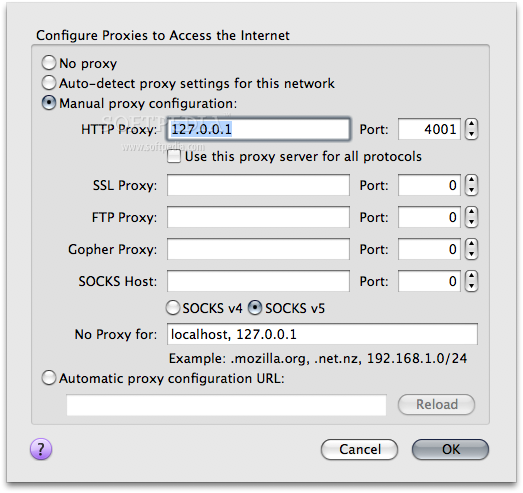 Therefore, the proxy solution is out. There are also websites that guarantee you an anonymous browsing experience but most of them will add their own frames containing advertising to the websites you visit. Another reason for not using such a solution is that a lot of the scripts on the web pages you will open in your web browser will completely refuse to work. That happens because said websites do not accept all types of scripts to run through the proxies they are using to provide you with anonymity. And, again, the logs come up for discussion. If you do believe that your privacy is the most important thing to you or you simply have something to hide, such websites are not the answer. You can also go for the paid services that can get you browsing anonymously on the web in an instant. All you have to do is install the software they send you and the software takes care of everything for you (after you set up your browser, instant messenger or whatever other app you want to be stealth to use the paid anonymous service). Such solutions will allow you to use encrypted connections to their servers, which will then connect to the web and retrieve the information you want for you, sending it back in the same encrypted form. Sounds very good and indeed it is quite a nice thing to go for if you’re in need of online privacy. If you are ready to go for the paid approach, such solutions might be Hotspot Shield or WebGhost, but why not go for the free ones? What are the free options you ask? Well, as most people who have used them agree, they are probably better than the paid ones and you will see immediately why that is. The two online free anonymity providing solutions that just stand out from the crowd are Tor and JAP. While Tor is widely used and known, JAP might just be a new one for you, although, despite its lack of popularity as compared to the former, during our tests it has delivered on all it had promised. In fact I’m using it right now while writing this article and, despite a small delay after hitting enter, everything is loading in my browser as smoothly as possible (truth be said, the connection speed may vary but it has never failed me while using it – actually I’m quite impressed, to say the least, because at the moment I totally forgot I was using JAP at all). Let’s start with Tor. I would want to personally let you in on what Tor does to protect your privacy and how it does it, but this has already been covered by the Tor Team on their website and so I will let them explain what it is all about: "Tor is a software project that helps you defend against traffic analysis, a form of network surveillance that threatens personal freedom and privacy, confidential business activities and relationships, and state security. Tor protects you by bouncing your communications around a distributed network of relays run by volunteers all around the world: it prevents somebody watching your Internet connection from learning what sites you visit, and it prevents the sites you visit from learning your physical location. Tor works with many of your existing applications, including web browsers, instant messaging clients, remote login, and other applications based on the TCP protocol." What this means is that Tor actually uses an anonymous, distributed network of relays through which your traffic will be redirected and encrypted using random virtual tunnels so that no one, not even the ones that run those relays, will know what data you send and from where or to where your data travels on the Internet. The fact that each network node is able to see no more than one single hop of all of your paths to the end point of the circuit means that those who would want to capture and analyze the data you are sending and receiving to and from the Internet will miserably fail in their attempts. And this brings us to the point. Top notch privacy on the web for free! The only thing that you might want to be careful with while using Tor to make your browsing experience as secure as possible is make sure that you set your browser not to exchange cookies with the websites you visit and remember not to give out any information concerning your identity. JAP on the other hand, does not rely as much on the random factor as Tor but still manages to come on top of the class. It will help you take a little detour from the conventional way to the server hosting the website you want to visit by telling your browser to connect through a network of several intermediary servers aka Mixes, which form a sequence named Mix Cascade. These types of server arrays through which you can connect to the web are predetermined and you can choose from a bunch of them using the JAP interface. The smart thing lies in the fact that if the number of users using a certain mix cascade is larger, the anonymity level provided by it is higher. Why? Because the connections created by the users between the mixes will mingle and no one will ever be able to understand a thing through all that mumbo jumbo going around there. This means that users are completely safe because it is impossible to determine which connection belongs to which user. If you are worried about the mix providers, here’s a hint: you shouldn’t be. Why? Because each of these mixes are provided by institutions that will be asked to officially declare that they will not exchange the data they can log on their servers with other mix providers from the network or even keep log files at all. And, now, the best part of all this: all information about these providers is made public and verified by the JAP Team and, based on this information, users will be able to choose the mix cascade they trust the most. Both Tor and JAP can be downloaded from Softpedia and their installation is pretty much self-explanatory. To configure them so that they will work with your favorite browser you will just have to open the Preferences window, go to the Network Settings and enter 127.0.0.1 as the proxy IP address and 8118 as the port for Tor or 4001 for JAP. 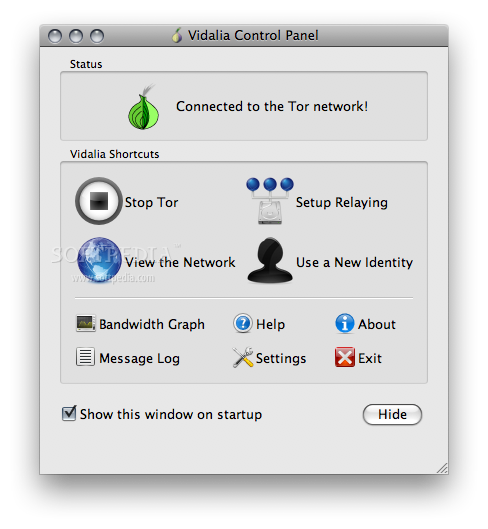 Tor will, however, allow you to further customize the settings for your proxy by going to the Advanced tab in the Settings window that you can open from its Control Panel. On the Advanced tab you can manage the password to be used for authenticating to the Tor network, select a custom configuration file or the data directory and even set the run permissions. In case you manage to lose yourself in the sea of Nexts when installing and/or configuring Tor or JAP, these are the how-tos on installing and configuring them on your Mac: HERE for Tor and HERE for JAP. One last reminder: you have to remember that there are no perfect anonymity solutions out there. The best thing to do if you really care about your privacy is to be careful which websites you exchange information with and pay attention to what type of information you disclose about yourself when online. 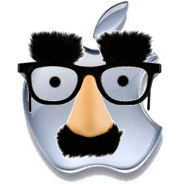 Do you know of other anonymity protection solutions that we missed? Do you know of other ways one can protect one’s privacy online? Then leave us a word in the comments. Evernote, a free application that allows users to capture information in any environment making it accessible at any time, has been updated to version 1.1.5. The software is still in beta, but now adds AppleScript support, as well as support for exporting and importing notes to and from XML. vernote lets you capture stuff like webpages, whiteboards, scribbles, to-dos, even photos and music. As soon as you add a file to your account, you can assign it a name, or a tag, or more names and tags, and you'll be able to find it later on without any trouble, even if you can only remember a few characters. It brings up everything you might have once stored for safe keeping using tags and even text recognition. 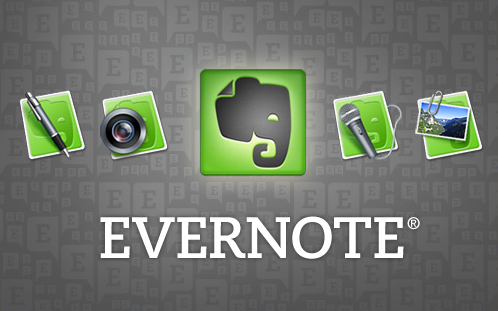 All you have to do is just search for an inside Evernote just like you remember it. The text recognition technology allows you to search for text within images, even handwritten text. If there's but one thing you can remember about a certain item, you'll most likely get to it as Evernote is an expert at narrowing down a search. Best of all, the service is available for all your devices, Mac, PC and mobile phone, as long as you can connect to the Internet with them. - Support for exporting and importing notes to and from a well-defined XML format. - Fix a bug where note parsing errors could overwrite note content with the error message. - When plain-text is pasted into a note it is no longer surrounded with a tag. - List, Mixed and Thumbnail view should all remember their layouts between application launches now. - Fix a bug where creating a tag with just a double-quote (") for the name would cause a crash. - Some spiffy new toolbar and sidebar icons. A native iPhone client for Evernote has also been released via the iTunes App Store. Evernote for iPhone is location-aware, it lets you send e-mails from within the app, it securely decrypts notes and it provides to-dos and clickable URLs and e-mail addresses. Evernote for iPhone is currently at version 1.3 and can be acquired here. To upgrade your desktop client, use the link below. Evernote 1.1.5 Beta for Mac (Free Download). Speculation mounted that the Federal Reserve, which refused to cut rates on Tuesday, could be forced into an embarrassing U-turn or might further expand its market liquidity operations. The $85bn emergency Fed loan for the troubled insurance group AIG, announced on Tuesday night, failed to curb the surge in risk aversion. Instead, markets were hit by a fresh wave of anxiety. One cause for fear came when shares in a supposedly safe money market mutual fund fell below par value – or “broke the buck” – owing to losses on debt in Lehman Brothers, which filed for bankruptcy protection on Monday. This raised the risk that retail investors in other such funds could panic and pull out their money. All thought of profit was abandoned as traders piled in to the safety of short-term Treasuries, with the yield on three-month bills falling as low as 0.02 per cent – rates that characterised the “lost decade” in Japan. The last time US Treasuries were this low was January 1941. Shares in the two largest independent US investment banks left standing – Morgan Stanley and Goldman Sachs – fell 24 per cent and 14 per cent, respectively, as the cost of insuring their debt soared, threatening their ability to finance themselves . Morgan Stanley was holding preliminary merger talks with Wachovia, a troubled regional lender, and could approach other banks and look at other options in the coming days, people familiar with the situation said. Washington Mutual, another regional lender, has hired Goldman Sachs to contact potential buyers. HBOS, a leading UK mortgage lender pressed into sales talks by the government after its share price halved this week, agreed to a £12bn takeover by Lloyds TSB. A key measure of fear in the fixed-income markets - the so-called Ted spread, which tracks the difference between three-month Libor and Treasury bill rates - moved above 3 per cent, higher than the record close after the Black Monday stock market crash of 1987. US authorities fired back with the Treasury announcing it was borrowing $40bn to give to the Fed to use for its emergency lending – in essence removing balance sheet constraints on the size of this assistance. The Securities and Exchange Commission announced new curbs on short selling. Some analysts have criticised US authorities for adopting an arbitrary approach to rescues - saving AIG, but not Lehman - that was impossible for investors to predict and therefore did not boost confidence. The S&P 500 fell 4.7 per cent, led by a 8.9 per cent slump in financials. Equity volatility was near its highest level since March. The dollar fell against other major currencies. Gold benefited from safe-haven buying, with prices rising 11.2 per cent to a three-week high of $866.47 a troy ounce.